The UK’s first “self-drive” mainline train was being launched on a busy London commuter route today. The Thameslink train was due to switch from manual to computer control between St Pancras and Blackfriars stations. Rail bosses, wary of alarming passengers following an incident in the US in which a Uber self-drive car killed a pedestrian, emphasised that the driver remained in the cab at all times. It is the first time that “automatic train operation” (ATO) has been used on the mainline rail network, though automated trains are in use on the Victoria, Northern and Jubilee Tube lines. A computer controls acceleration and braking to ensure efficiency, enabling trains to run every two to three minutes during the rush hour. The driver remains in the cab to check the platforms and close the doors and can intervene in the event of safety concerns. 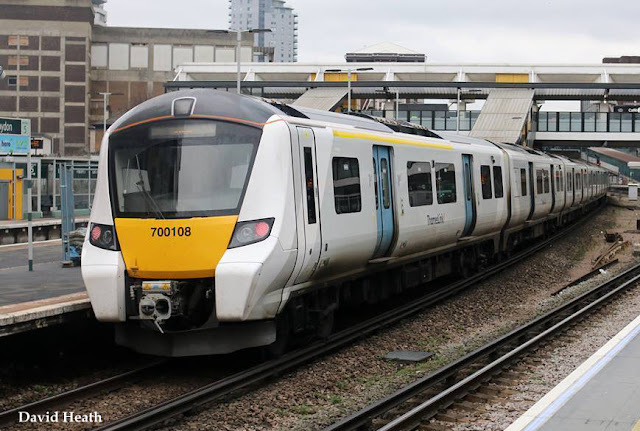 When the system has been adopted by all Thameslink services by the end of next year, there will be 24 trains in each direction in the “core” section through central London. The Class 700 Siemens trains will run as close as 100 metres apart at speeds of about 30mph through central London. The 12-carriage trains can carry 1,700 passengers — boosting rush-hour capacity by 60,000. The first commuter train to use ATO was due to be the 0946 from Peterborough to Horsham. The Thameslink network is being expanded by 80 stations. Services to and from Cambridge and Peterborough will be launched in full from May, creating direct links with Brighton, Horsham and Gatwick airport.